To some it's the classic "gateway drug," to others it is a harmless way to relax, or provide relief from pain. Some fear it is dangerous and addictive, while others feel it should be decriminalized. Whatever the viewpoint, cannabis incites debate at every level, and the effect it has on every corner of the globe is undeniable. 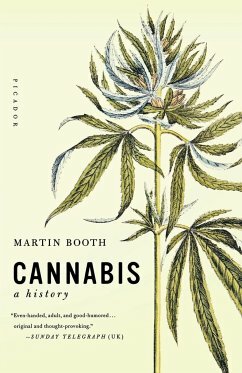 In this comprehensive study, Martin Booth crafts a tale of medical advance and religious enlightenment; of political subterfuge and law enforcement; of cunning smugglers, street pushers, gang warfare, writers, artists, and musicians. And above all, Booth chronicles the fascinating process through which cannabis became outlawed throughout the Western world, and the effect such legislation has had on the global economy.